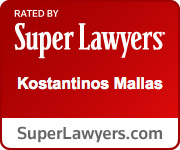 Kostantinos Mallas currently heads the personal injury department at the law office of Georgaklis & Mallas PLLC. He graduated with honors and received a B.S. in Paralegal Studies from St. John’s University in 1995, and a J.D. from St. John’s University School of Law in 1998. He was admitted to the New York State Bar in 1998 and was also admitted to the United States District Courts for the Eastern District of New York in 1999 and the Southern District of New York in 2001. He was an associate attorney at Crasto & Associates PC from 1998 to 2000 and Sullivan, Papain, Block, McGrath & Cannavo PC from 2000 to 2008. He is a trial lawyer with over a dozen years of experience in all types of personal injury matters. 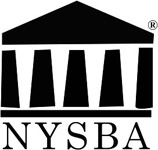 Mr. Mallas has lectured young lawyers on trial techniques for the New York State Trial Lawyers Institute and is an active member of the New York State Trial Lawyers Association, National Trial Lawyers, Hellenic Lawyers Association, Nathan Sobel Kings County Inns of Court and Bay Ridge Lawyers Association. He is also an active member of many civic organizations, including the American Hellenic Education Progressive Association, were he served as president for his local chapter. Mr. Mallas has been named to the prestigious Metro New York SuperLawyers list for 2011, 2012, 2013, 2014, 2015, 2016, 2017, 2018, and 2019 which signified the honor of being chosen as one of the top 5% of practicing attorneys in New York. Mr. Mallas has been listed in the New York Law Journal’s highest verdicts and settlements edition for 2002, 2010, 2011, and 2012. Mr. Mallas has appeared in the New York Law Journal’s highest settlement edition for 2011 and 2013. He has appeared in the New Yorker and New York Times for top verdicts and settlements in the state. In addition, Mr. Mallas is Martindale-Hubbell® AV-Rated®, the highest peer-review rating an attorney can receive. Mr. Mallas represented Christopher Peat in Peat v. Fordham Hill Owners Corporation, where he was able to acheive the largest affirmed pain and suffering jury verdict in the history of New York State Jurisprudence. The affirmed verdict totaled $18,681,323.19. $16 million was awarded for pain and suffering, with the remaining $2,681,323.19 awarded for past and future medical bills.